The approach to buying jeans, like buying most things, changes course as you get older. You've learned to discern and not be kowtowed by the herd. No, the trend is not your friend, you have better ways to spend your time than having to replace clothes that have dated the minute you took them out of the bag. What old Tweedy wants with jeans, as with all other items of clothing, is quality - jeans that are well-made, with good cut and cloth, that will stand the test of time and a bit of rough treatment. They'll look well with a brogue and a drop of tweed, it goes without saying. Preferably, they'll be made by someone who lives and breathes jeans; a specialist, if you will. The First Edition: Woad-Inc (above) produced by Jason Denham and Denham the Jeanmaker might just fit the bill. Denham are applying imagination to these classic workwear staples. 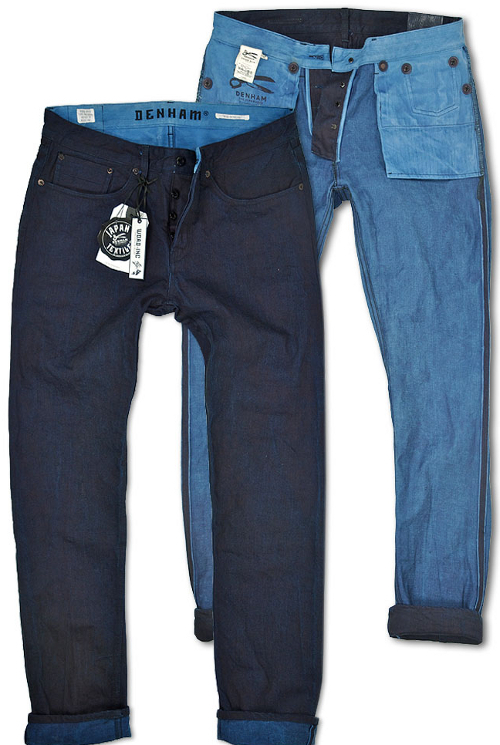 The First Edition: Woad-Inc jeans are dyed using indigenous British woad, through a collaboration with Woad-Inc, and are made in England. The use of woad conjures images in the mind of Boadicea daubed with the stuff. 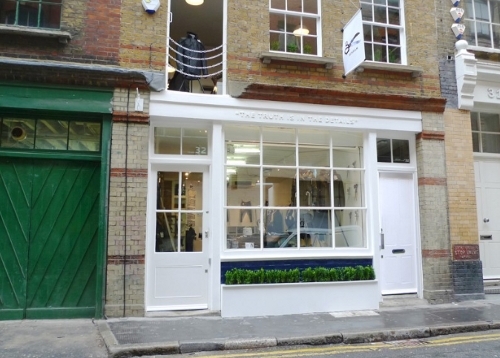 Denham have recently opened a shop in one of Tweedy's favourite London shopping haunts - Shoreditch. I don't think Boadicea did battle around there, but there's a nice statue of her by Westminster Bridge.